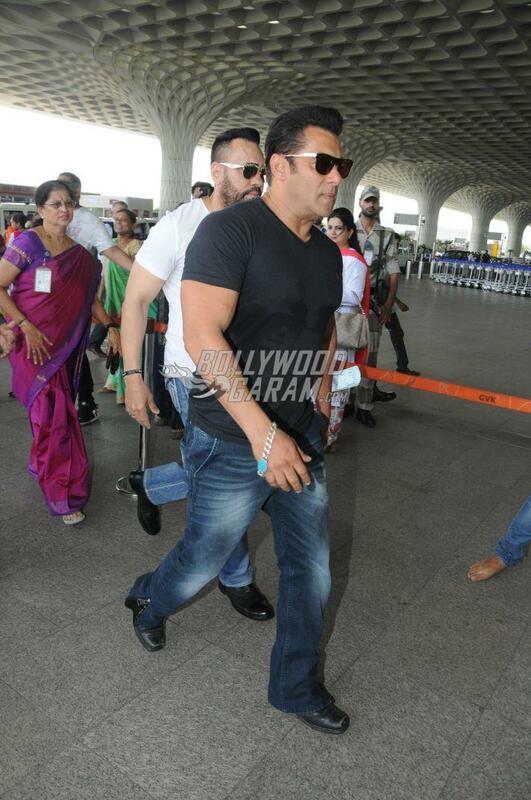 Team Race 3 was snapped at the Mumbai airport as they left for Jodhpur on May 11, 2018. The airport saw the lead cast Salman Khan, Bobby Deol, Jacqueline Fernandez and director Remo D’Souza as they left for Jodhpur. Remo was accompanied by wife Lizelle D’Souza and the couple was all smiles and poses for the shutterbugs at the airport. 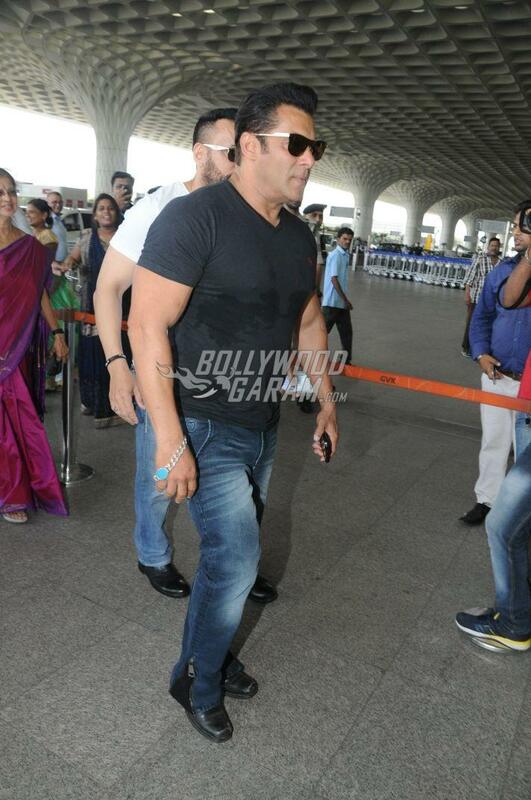 Salman looked dapper in a black t-shirt and a pair of denims and obliged with a few selfies with fans. Jacqueline looked pretty in a white t-shirt, denims and a pink jacket with a white cap and white sneakers. Bobby Deol too looked cool in a white shirt and a pair of denims as he made his way through the airport. The entire team has headed to Jodhpur to shoot for the next schedule of Race 3. The film also stars Anil Kapoor and Saqib Saleem and is expected to be released in theatres on June 15, 2018.